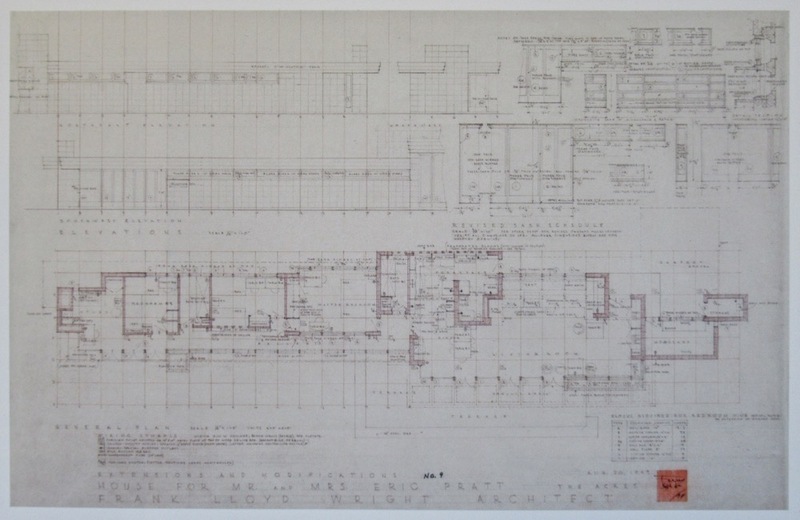 Yes -- a plan drawing is a view from above. AD -- the design magazine for architectural illiterates ? 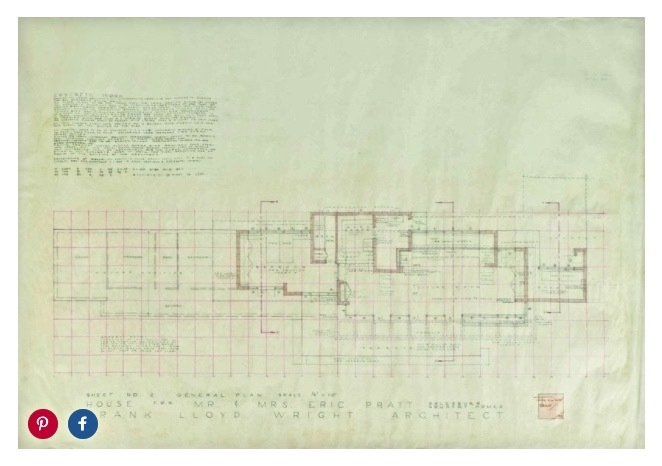 A nice close-up of a Wright signature block, and an enlargeable reproduction of a view drawing. 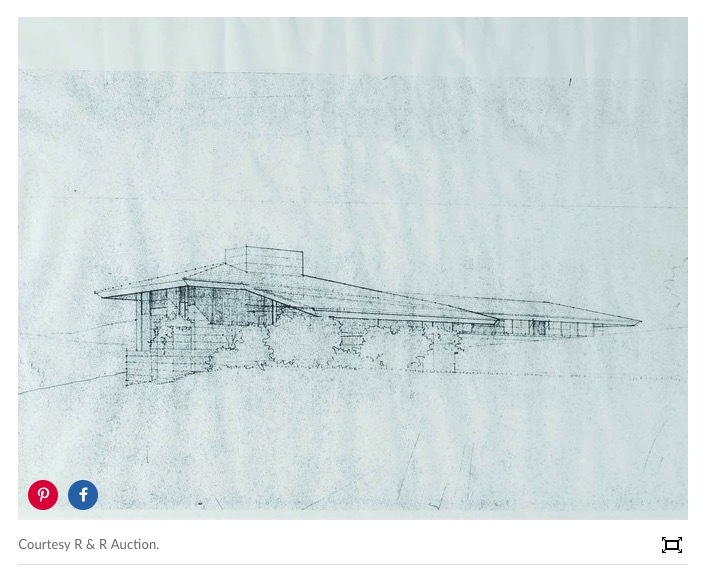 I believe the actual plan, drawn by Lois Davidson Gottlieb, is what is for sale, shown farther down in the article... Maybe the perspective drawing is not a part of the sale, but included in the article to get our attention? AD -- the design magazine for architectural illiterates? 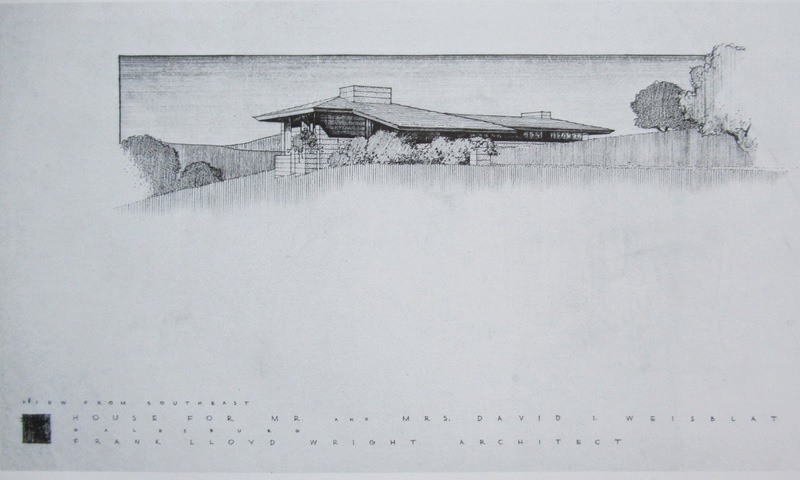 Heh -- this might be the only house plan published by AD in the last calendar year; I would't know for sure. The Wright signature block shown by AD is dated 1949. The perspective view is for a different project; research may uncover which project this drawing represents. case of an unauthorized duplication based directly upon it. I have recorded the image. the Internet, including Architectural Digest's site and that of RR Auctions. Posted: Wed Jan 31, 2018 4:51 pm Post subject: Pratt???? building, including poorly laid blocks of concrete. Nevertheless, the family moved into their home in 1951 and continued adding to it until 1954." blocks of concrete. 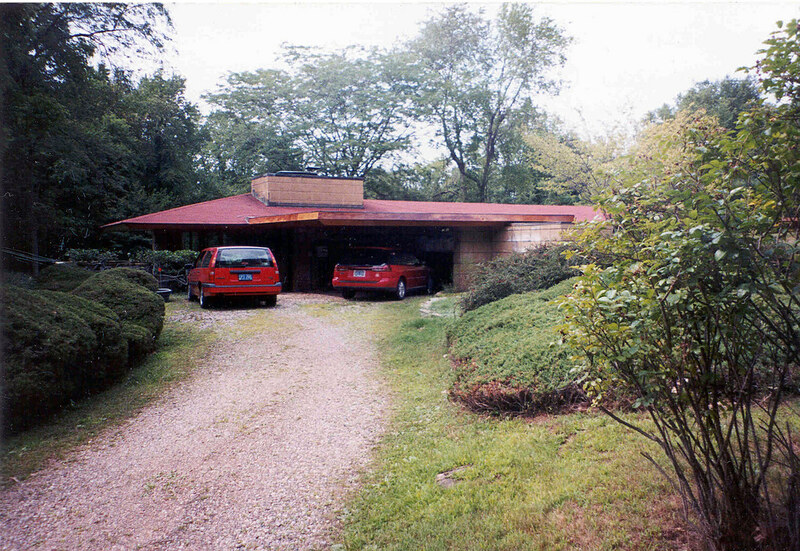 Nevertheless, the Pratts continued the project and today the home is considered a fine example of the Usonian form." There's a vital difference between "fatal flaws" and "almost fatal faults" ! I believe the print of the perspective rendering, sans titles, is a preliminary version of Weisblat further down the lane. The view is taken from the drive approach...the as-built house has a flat roof over its carport rather than an extension of a plane of the main hip roof. Bingo. Thanks, Dan. Here's the finished rendering, no doubt a colored view. Note added chimney. A curiosity is the slight curve to the near roof profile, at its right-hand extremity -- more readily visible in the base drawing above.